Step 1 In a pot over medium heat, add cauliflower florets, olive oil and a pinch of salt. Saute for 5-10 minutes or until colour starts to form. Add milk and simmer until cauliflower is soft. Add wasabi and use a stick blender to form a puree. Step 2 Place eye fillet into a pan over high heat, cook for approximately 3 minutes on each side. Remove and allow to rest for a minimum of 5 minutes. Add cos lettuce leaves, and char until colour starts to form. 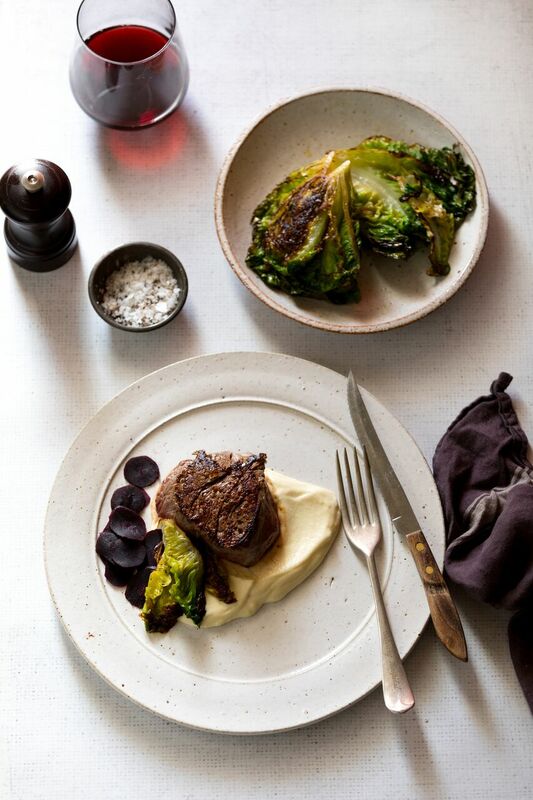 To serve, place cauliflower puree onto the bottom of a plate, top with eye fillet, lettuce leaves and sliced carrot.